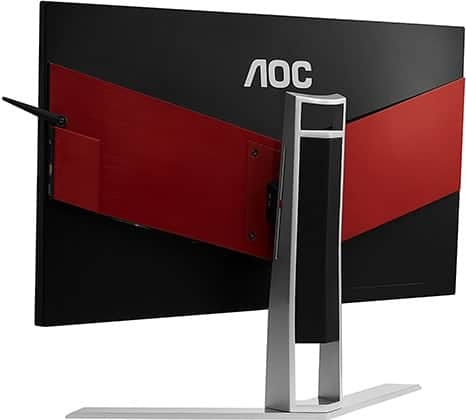 AOC AG241QX Review 2019: 1440p 144Hz 1ms Monitor Under 350 USD! The AOC AG241QX is the cheapest 1440p 144Hz 1ms gaming monitor you can get. Plus, it features official G-SYNC compatibility, a wide variable refresh rate (VRR) range of 30-144Hz, and plenty of additional features! 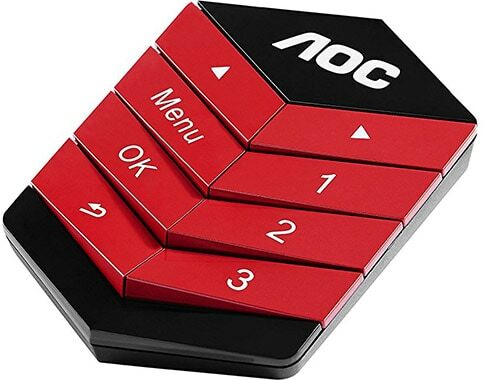 Based on a TN (Twisted Nematic) panel by AU Optronics, the AOC AGON AG241QX offers true 8-bit color depth, a 350-nit peak brightness, a static contrast ratio of 1,000:1, a 1ms response time speed, and 160°/170° viewing angles. In comparison to the other panel technologies (IPS and VA), you’re getting a lower picture quality, narrow viewing angles, but a faster response time speed. A 1440p 144Hz gaming monitor with a VA panel, for instance, has a slower response time speed which results in prominent smearing and ghosting in fast-paced games. The advantage of VA panels, though, is the high contrast ratio which provides deeper and more vivid dark shades. An IPS version of a 1440p 144Hz display offers a good balance between TN and VA.
You get more accurate and vibrant colors while the contrast ratio is also around 1,000:1. The response time is not as fast as that of TN panels, but it’s sufficient to eliminate most of trailing in video games. IPS models, however, are also more expensive. Note that on the 23.8″ screen of the AOC AG241Q monitor, 1440p (2560×1440 WQHD) resolution results in a pixel-per-inch ratio of 123. This means that you’ll have plenty of screen space and that details will be sharp and clear. Because such high pixel density makes the desktop very spacious, small items such as text will appear tiny and may be difficult to read without scaling to ~125% in the display settings. Moving on, the AOC AG241QX has a very low input lag performance of only 8ms. If you enable the Low Input Lag feature in the OSD (On-Screen Display) menu, the monitor will bypass certain video processing in order to further decrease input lag to ~4ms. In addition to the rapid 1ms response time speed and 144Hz refresh rate, the performance is buttery smooth making for a responsive and enjoyable gaming experience. To completely get rid of screen tearing and stuttering, there’s AMD FreeSync which synchronizes the monitor’s refresh rate with your GPU’s frame rate. The AOC AG241QX is also G-SYNC compatible meaning that VRR will also work with compatible NVIDIA GPUs in addition to AMD’s FreeSync graphics cards. Furthermore, the monitor has an excellent VRR range of 30-144Hz ensuring smooth performance without tearing nor stuttering even at lower frame rates. 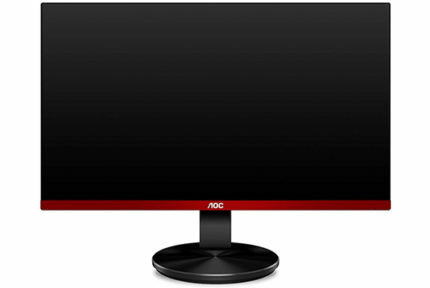 Lastly, the backlight of the AOC AG241QX 144Hz monitor is flicker-free and there’s an integrated low-blue light filter which prevents eye strain and fatigue. Gaming features worth mentioning are Shadow Control and Game Color (increases visibility of objects in dark parts in video games), pre-calibrated picture presets (FPS, RTS, Racing, plus three customizable Gamer modes), three gamma presets, and four response time overdrive options (Off, Weak, Medium, Strong). You also get the QuickSwitch device which you connect to the monitor’s mini-USB port. This device allows you to remotely navigate through the menu and quickly toggle between picture presets. 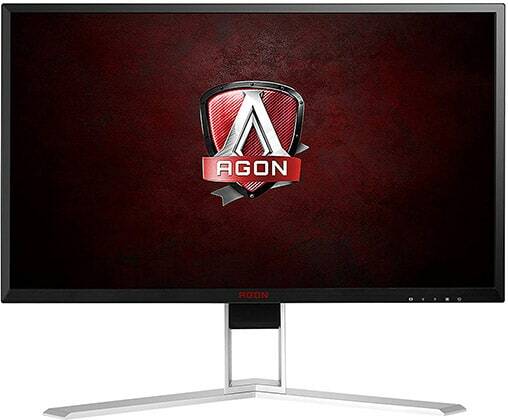 The AOC Agon AG241QX 1440p display has a sturdy and versatile design with VESA mount compatibility, up to 130mm height adjustment, +/- 20° swivel, -4°/22° tilt, and 90° pivot. It also has a headphones hook, cable management, and a carrying handle. Connectivity options are quite abundant and include a DisplayPort 1.2, two HDMI 2.0, a VGA, a DVI, a headphones jack, a microphone jack, two 3W integrated speakers, a mini-USB port, and a quad-USB 3.0 hub with fast-charging. The AOC AG241QX FreeSync range is 30-144Hz over HDMI and DP for AMD cards, and 30-144Hz over DP for compatible NVIDIA cards which include the RTX 20-series, GTX 10-series, and newer. The AOC AG241QX price ranges from ~$310 to $350 which makes it one of the cheapest 1440p 144Hz gaming monitors. Add to that its extensive ergonomics and connectivity options as well as the plethora of gaming features including G-SYNC compatibility and wide VRR range, and you get a pretty sweet deal. While some will find that a screen size of 24″ is big enough, those who want a bigger monitor can check out the 27″ model called the AOC AG271QX with all the same features. It’s not officially G-SYNC compatible though, but it does provide a stable VRR performance without any issues. 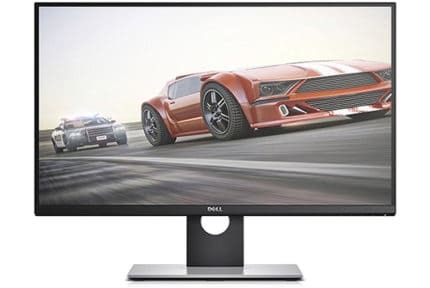 If you want a 27″ 1440p 144Hz 1ms gaming monitor, we recommend the Dell S2719DGF which overclocks to 155Hz and offers a better value for the price than the AG271QX. Note that for roughly the same amount of money, you can get a 1080p 240Hz gaming monitor instead for a better performance in competitive games. Visit our best gaming monitor buyer’s guide for more information and the best monitor deals. Overall, if you don’t mind its 24″ size but rather prefer it, the AOC AG241QX is the best 1440p 144Hz gaming monitor for the money. 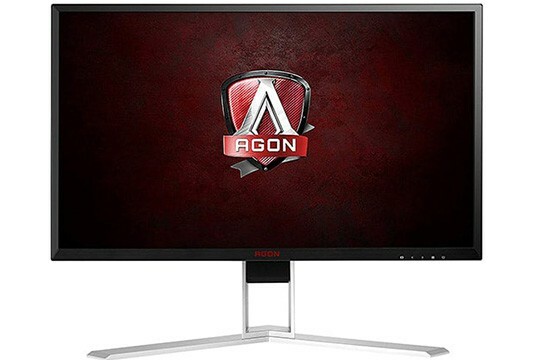 The AOC AG241QX is the cheapest 1440p 144Hz 1ms gaming monitor available yet it offers plenty of useful features such as G-SYNC compatibility, wide VRR range, rich connectivity options, and a great design. If you prefer its 24" size over the 27" alternatives, it's the monitor for you.